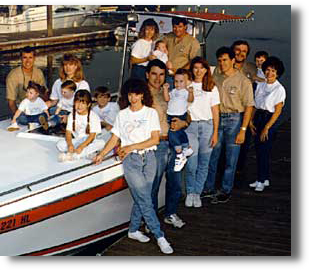 Then, now and in the future Bay Pines Marine has been serving boaters for 3 generations. The Travis family has been the operator since the 1960's, starting with Roy and Elsie Travis, their sons, Royal and Dennis Travis and today Dave Travis and his brothers Tim, Rich and Chris. All tolled, they have a combined family history of over 150 years in the boat business. Come visit us and see why our customers feel like family! We are open from 8 to 5 daily seven days a week.